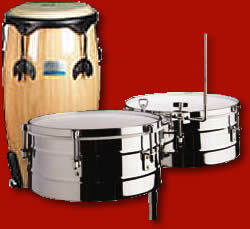 drum, percussion and audio equipment in the industry. 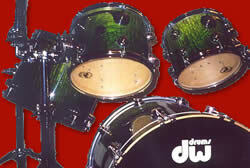 "dw drums enhance my powerful outburst sound while dw pedals facilitate my intricate, tribal and vanguard salsa style". "Transforming artist concepts into cymbals..."
SABIAN cymbals have traditional tone with modern projection. rich, warm, clean, bright, explosive, and raw ... It's an art. 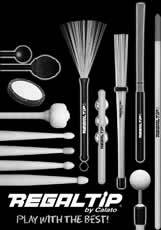 REGAL TIP nylon tip drumsticks and brushes that last longer and offer richer, cutting edge sound. Rhythm Tech percussion instruments accentuate my latin style. 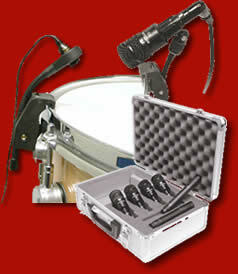 AUDIX percussion microphones where performance is everything"